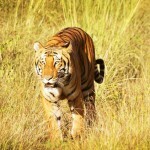 Sariska Tiger Reserve is situated 33 km away from Alwar in Rajasthan. The 765 sq km thickly wooded reserve cradled in the picturesque valley of the Aravalis. 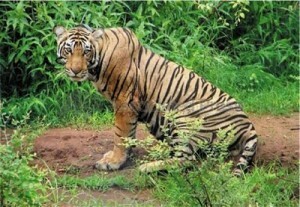 Established in 1955, it is an excellent tiger sanctuary under the Project tiger. 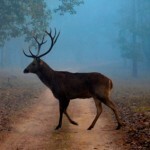 The dry deciduous forests of the Reserve are noted for their population of Tiger, Nilgai, Sambhar, Cheetal, four horned antelope and wild boar. Birds include Parakeet, Grey Partridge, Crested Serpent Eagle, Babbles & Bulbuls. The sanctuary houses ruined temples, a fort, pavilions and palace. The interesting spots are the sacred shrines of Buddha Hanuman and old temple of Nilkant Mahadev, the Pandu Pol. There are about three hundred Hindu and Jain temples constructed between the 8th and 12th centuries, which have great mythological, religious as well as historical significance. The Sariska Palace, built as a royal hunting lodge is a magnificent piece of architecture and restores the grandeur of the past. Air: Nearest airport is Jaipur situated at a distance of 101 km. Rail: Alwar is the nearest railhead at a distance of 33 km. Road: Sariska can be reached by road connecting Alwar and Jaipur. 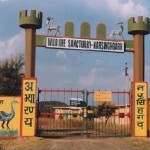 Best accommodation is available at Sariska Tiger Reserve. 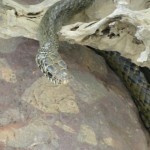 This entry was posted in Rajasthan, Sariska Tiger Reserve and tagged india reserve, india tiger reserve, indian tiger, indian tigers, list of national parks, names of national parks, national parks, project tiger, sanctuaries, sariska, sariska india, sariska national park, sariska park, sariska safari, sariska sanctuary, sariska tiger heaven, sariska tiger reserve india, sariska tiger sanctuary, sariska wild life, sariska wildlife, sariska wildlife sanctuary, the tiger, tiger, tiger animals, tiger conservation, tiger park, tiger parks, Tiger Reserve, tiger safari, tiger safaris, tiger tour, tigers, tigers safari, wild life, wild life centuries, wild life reserve, wild tiger, Wildlife, wildlife reserve, wildlife tiger. Bookmark the permalink.